BIO-WEST provided environmental support services for the installation of approximately 25 miles of new 42-inch natural gas pipeline in an estuary located in southwestern Louisiana. 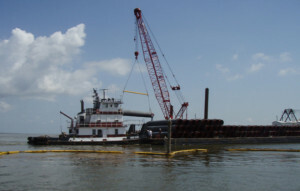 Environmental services included marine and hydrographic surveys, design and construction oversight of artificial reefs, and environmental construction oversight. Marine surveys were conducted in accordance with state and federal regulatory agencies to meet environmental compliance implemented by the Federal Energy Regulatory Commission. Environmental surveys were conducted to identify essential fish habitat (as defined by the Magnuson-Stevens Fishery Conservation and Management Act) and potential submerged cultural resources (as defined in Section 106 of the National Historic Preservation Act) within a survey corridor of approximately 9,000 acres. Hydrographic data collected as part of these surveys were also provided to identify water depths and potential construction hazards. Due to the excelled project schedule and magnitude of the project area, remote-sensing surveys were conducted to simultaneously collect necessary data. 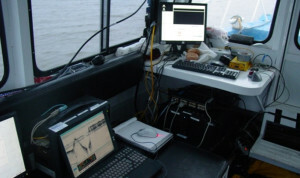 Remote-sensing survey equipment included a differentially corrected GPS, a dual-frequency digital side-scan sonar, marine magnetometer, fathometer (with motion compensator) and sub-bottom profiler. Survey results provided a geo-rectified image of the bay floor for the entire project area, along with depth contours. In addition to the bay floor imagery, exposed and submerged ferromagnetic sources (potential pipelines) identified by the marine magnetometer were provided. Marine habitat surveys were conducted to identify potential oyster reefs and seagrasses and characterize substrates by implementing protocols used on previous surveys that were accepted by the National Marine Fisheries Service, US Fish and Wildlife Service, Louisiana Department of Fish and Wildlife, and the Texas Parks and Wildlife Department. 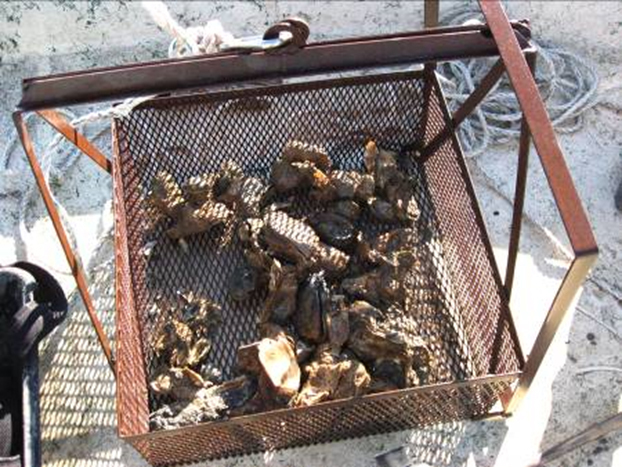 In addition to the comprehensive remote-sensing data, follow-up biological surveys were conducted using SCUBA to quantify oyster reef organisms, oyster recruitment, and project oyster production. Remote sensing survey data were reviewed at the time of the field effort to determine whether identified magnetic anomalies and/or sonar targets could be potential submerged cultural resources. Upon the identification of these targets, a close-order remote-sensing survey using the same equipment (during the same field effort) was conducted to further refine questionable anomalies. Suspect magnetic anomalies were then contoured and compared with other verified targets from previous surveys. 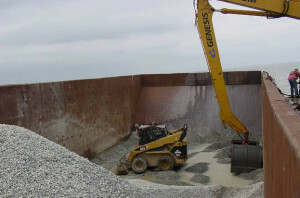 In addition to the environmental surveys, BIO-WEST provided support for the permitting, location, and creation of approximately 15 acres of artificial reefs within southwestern Louisiana. One artificial reef was designated as a finfish reef, while three others were designated as oyster reefs. Preliminary surveys were conducted to ensure the best conditions and locations for artificial reefs. These surveys consisted of bathymetry, substrate characterizations, hydrologic investigations, and water-quality monitoring. BIO-WEST also provided environmental monitoring, as required by the Federal Energy Regulatory Commission, during pipeline construction. Daily monitoring reports and photo documentation were provided to ensure that environmental compliance was met throughout the project. Environmental monitoring was implemented to not only ensure enforcement of permit stipulations but also provide prompt solutions for unforeseen environmental issues that arose during the project.